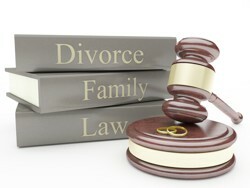 Robertson Hayles Lawyers are a long-standing boutique law firm which has been practicing family law since 1958. The firm has many years of in-depth experience in family law and has a team of solicitors experienced in all areas of family law. At Robertson Hayles Lawyers, our lawyers can provide you with clear, concise information about the legal processes and provide practical legal advice so that you can decide on the best course of action to resolve your dispute. Our lawyers are able to assist you no matter how intricate or complex your matter is or whether it is a dispute that can be easily resolved. Our legal team is led by our Director Kevin de Souza. As a husband and father, Kevin recognises that no two family situations are the same. He ensures the team treats our client’s matters with sensitivity and understanding whilst developing solutions specific to the resolution of their particular matter. Our solicitors are also aware of the financial strain that legal matters can have on our clients during this difficult time and as such, we attempt to offer our clients options to resolve their matters in the most cost effective manner. Parenting arrangements including custody or residency of the child, contact or time to be spent with the child. Please contact Robertson Hayles Lawyers at (08) 9325 1700 or by email at reception@robertsonhayles.com today to arrange an appointment with one of our experienced family lawyers.